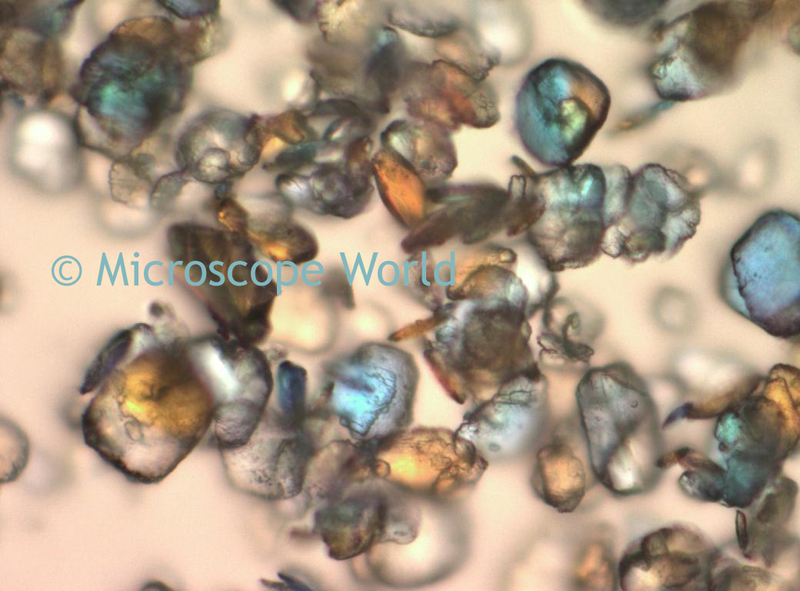 Microscope World originally did a post on gypsum under a biological microscope about a month ago. 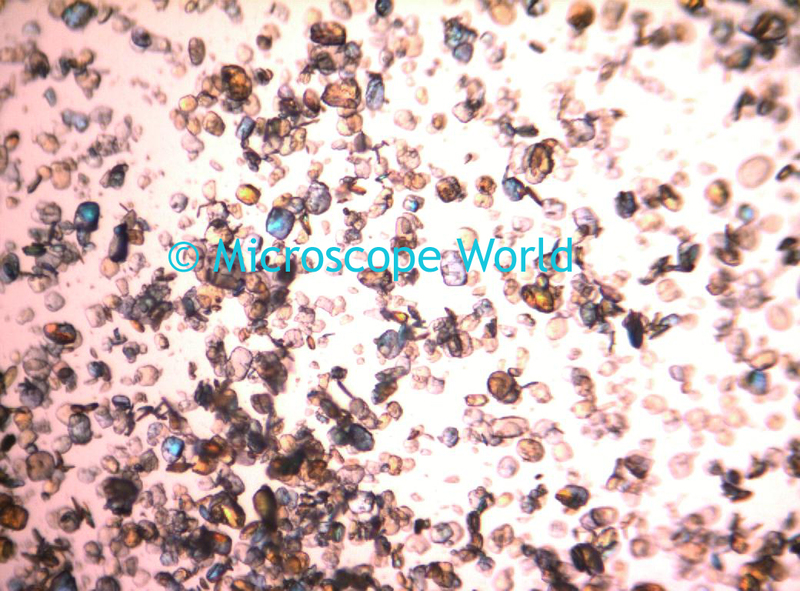 The same samples used for this original post, were used to capture images under the MT9300 polarizing microscope. 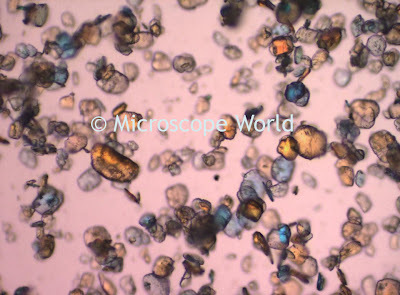 Gypsum captured under a polarizing microscope at 100x magnification.